A major crash involving as many as 10 vehicles has forced the closure of the westbound lanes of the Trans-Canada Highway in Headingley. 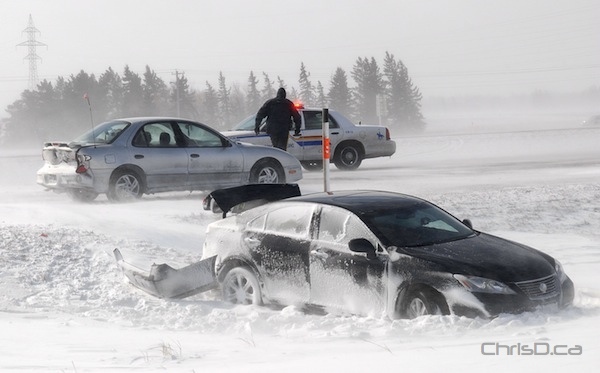 The crash happened around 11 a.m. near the weigh scales just west of Winnipeg. Road conditions were reported to be poor at the time with reduced visibility. UPDATE: 12:47 p.m. — The highway is now reopen.